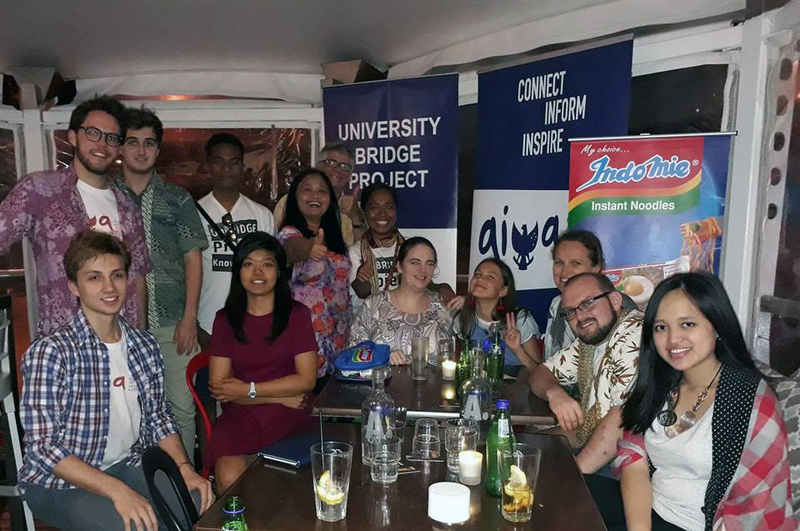 UniBRIDGE Project is a project that helps Indonesian university students learn English with native speakers from Australia, and the Australian students learn Bahasa Indonesia as well. In this project, the student from Indonesia and Australia can learn together, sharing their ideas, learning about culture and language from each other by using ‘rooms’ on the UniBRIDGE Project website. It means that they can use the room as web-conferencing session and speak to each other in real-time. UniBRIDGE Project has built a relationship between some Universities in Indonesia and Australia. Nusa Cendana University (UNDANA) has work together with UniBRIDGE Project since 2012, and it connects UNDANA with some Universities in Australia. Well, me my-self is Rizky Ully, UNDANA student, I’m now in my 2nd year, I’m studying at the faculty of teacher training and education, majoring in English. I joined UniBRIDGE Project when I was in my 1st semester of uni. “Practice makes Perfect”, now my English is getting better and better because I also learn my English with native speakers. Lucky me, in 2017, I got good news from the Project Director of UniBRIDGE Project Mr. Chris Hall, that I was one of UNDANA students to go to Australia for a study tour which was funded by UniBRIDGE Project. I got this chance because I was one of the most active participants, and now i am a UniBRIDGE Ambassador. After hearing the news that I was going to Australia, I prepared my travel documents and packed my bags. I travelled with another UNDANA student with this same opportunity. Her name is Yulia Leltakaeb. We flew from Kupang on 16 Oct 2017, and we transited in Bali, and we continued to fly to Sydney on the same date, but it was 10pm when we left Bali. We arrived in Sydney the next morning, it was 6am (Sydney time). It was 20 degree and it was way too cold for me because Kupang is very warm all year round. In Sydney, we attended a Bahasa Indonesia Class at University of Sydney, where we gave presentations about mondernisation in Kupang. After our presentations we got into groups and discussed some issues in Indonesia. We spent 6 days in Sydney, and we visited some amazing and beautiful places such as, the Botanical Gardens, the Harbour Bridge and the Opera House which are the most iconic places in Sydney. The Australian Reptile Park was also one of our destinations. My host family in Sydney was so nice to me. They are very kind, and they treated me like I was part of the family. On 22nd Oct, we flew to the Sunshine coast to continue our adventure. 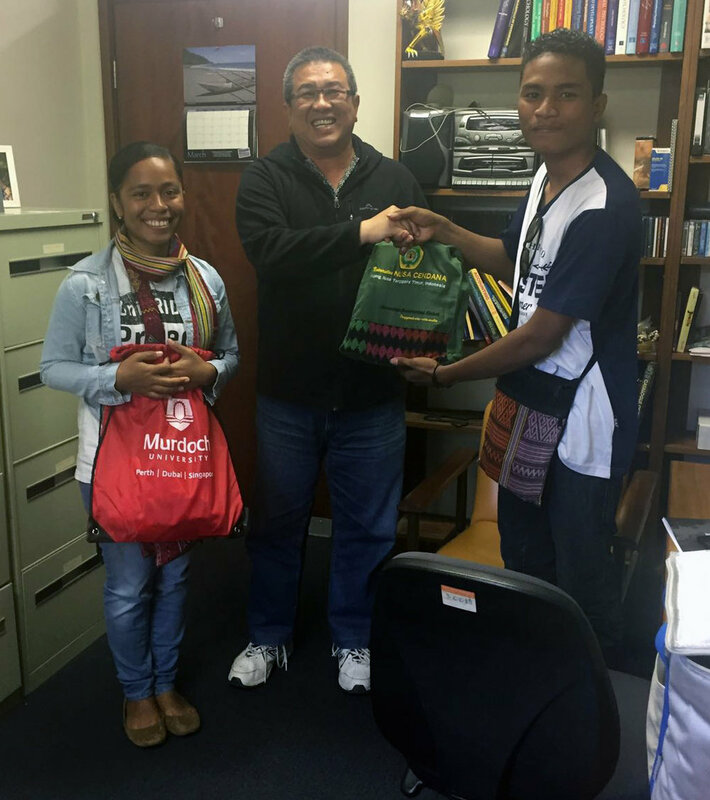 At the University of The Sunshine Coast we also attended a Bahasa Indonesia class, with Mr. Richard Curtis and Mrs. Endah Curtis who were the lecturers. The class was amazing, we also had time to present about our culture. While on the Sunshine Coast, we also visited St. Thomas More elementary school, and was talked about our culture to them, the class was amazing. The kids were so active, they gave us such a positive energy that made me keep the spirit to present to 4 classes in the 3rd grade. We also went to Brisbane, and visited some iconic places, such as the Museum and Southbank beach. It was so interesting because this beach is located in the middle of Brisbane city and near the famous Brisbane river. We also tried surfing for the very first time at sunshine beach, what a moment! To top it all off, we attended a UniBRIDGE Project joint event with AIYA Chapter QLD in Mooloolaba. It was an amazing night with AIYA. After a wonderful time we had in Sydney, and the Sunshine Coast, we went to Perth. we departed the Sunshine coast on 28 Oct, and we transited through Sydney. From Sydney to Perth is a long flight, about a 5 hour flight. We spent 3 days in Perth. 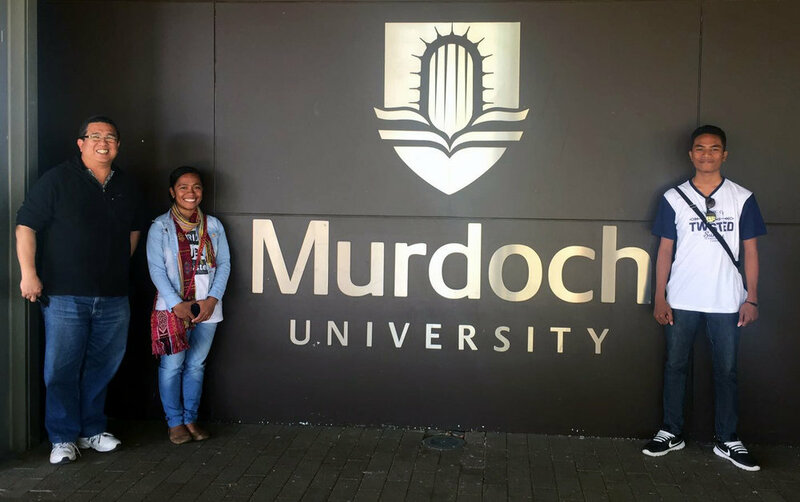 We visited Murdoch University, and learned about the Learning Management System (LSM) that they use there. We also met the President of AIYA Chapter Western Australia, and some students that Study Bahasa Indonesia at Murdoch University. The president of AIYA showed us around the university. We visited the Library, and the Science Museum at Murdoch. Then, I went to the King’s park with my host family. My host family also took me to the London Court, St. Georges Terrace Perth, Perth Town Hall, Hay Street Mall, and also Art Gallery Of Western Australia. Perth is an Amazing city. After an amazing time in Perth, then on 31 Oct, 2017, we flew back to Indonesia, we flew directly back to Bali. It was very sad to leave Australia, to be honest, and this trip has actually motivated me to come back to Australia. Australia is a great country to visit to, study, or to work. We have so many memories, so many moments. This study trip gave me new experiences, for the first time, I took a train, tried surfing and tried a lot of non-Indonesian food. I hope I can go back there. My host families in Sydney, the Sunshine Coast, and Perth were all so kind to me, they are like my real family. In Australia, the people are so friendly, and the environment is so clean. Those factors make me miss Australia the most. Well, last but not least, I would say thank you so much to Jesus Christ, my parents, my family, my friends whose always support me, and thanks to UniBRIDGE Project which gave me this chance to go on a Study Visit in Australia.